Fujifilm has suddenly become more aggressive in the Indian market. This is there second launch in the last few weeks. Today they have launched Fujifilm Instax Square SQ6 instant camera, which if you have not guessed by its name, is square in shape. In the age of digi-cams this is an analogue camera that will give you image prints in a jiffy, no need to go to a shop to get them developed or printed. 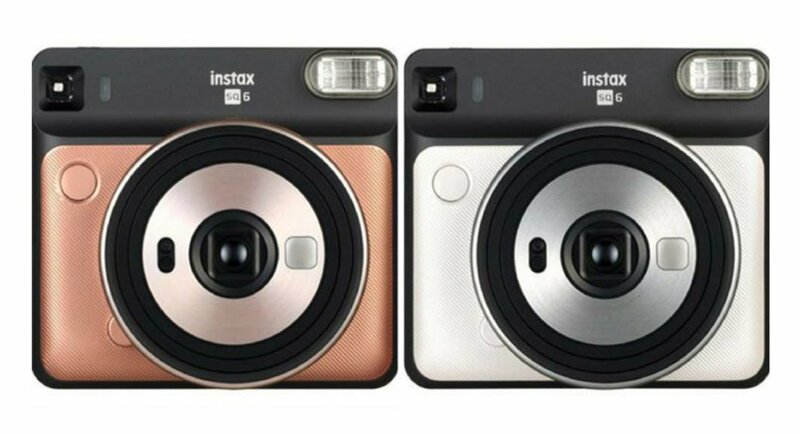 Available in three colours—pearl white, blush gold and graphite gray, the Fujifilm Instax Square SQ6 camera’s main USP is its design and the ability to print photos on the spot. The camera is priced at Rs 9,999 and has features like automatic exposure adjustment that gets activated as soon as the user presses the shutter release button. The camera comes with flash and detects ambient brightness and regulates it to provide optimum shutter speed. The company claims photos clicked in a dark room with this camera will also provide sharp subjects and vivid colours. The Fujifilm Instax Square SQ6 camera comes with a tripod hole at the bottom, so that users can place it on a tripod and use the timer function to be part of the snap. For selfie lovers, there is a special selfie mode added to the camera as well. Other features of the Fujifilm Instax Square SQ6 camera include a macro mode, to shoot subjects from a distance of a minimum of 30cm, and a landscape mode to capture long range shots. The package also includes three flash colours (orange, purple and green).